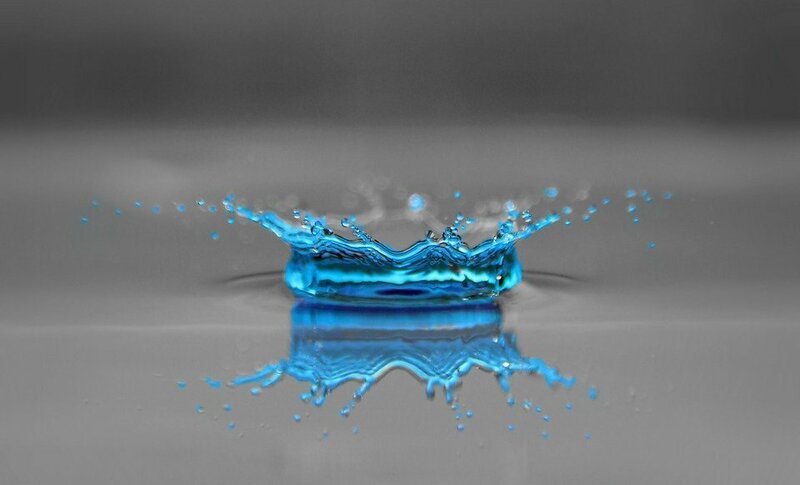 Water scarcity affects more than 40 percent of people around the world, an alarming figure that is projected to increase with the rise of global temperatures as a result of climate change. 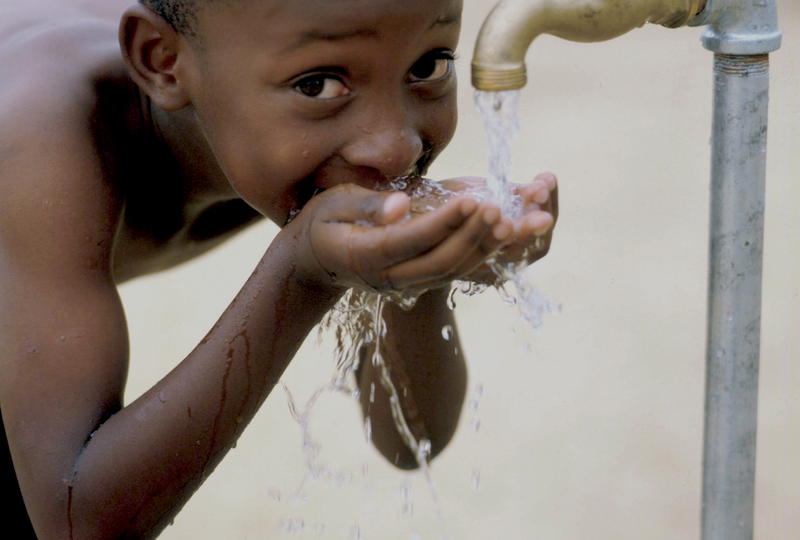 Ensuring universal access to safe and affordable drinking water by 2030 requires we invest in adequate infrastructure, ensure efficiency of investments and protect and restore water resources. Manual job assignment and poor or no follow up. 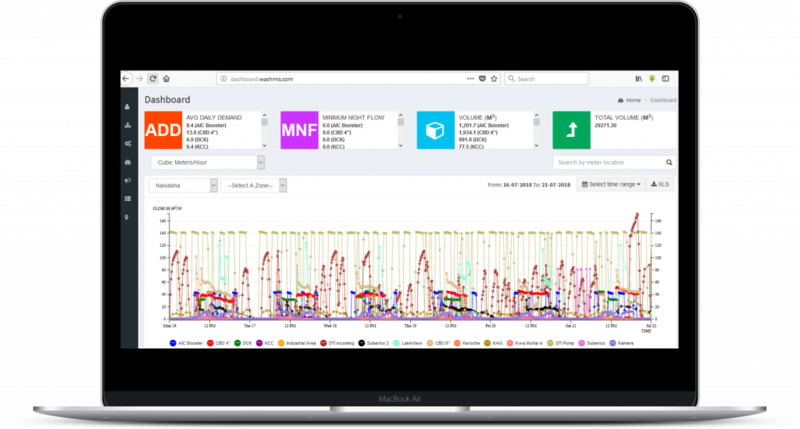 Innovative smart approaches to utility management – focused largely on automation, real-time view of hydraulic data and better data management – offer transformative capabilities to analyze, automate, correct in real time, predict and minimize risks. They have the power to help water and wastewater utilities address many of the challenges they face, including extending the life of aging assets, reducing leakages, attacks or other abnormalities in the distribution network, improving water quality monitoring, service levels and reliability of supply, promoting water conservation, or increasing revenue through operational efficiencies. 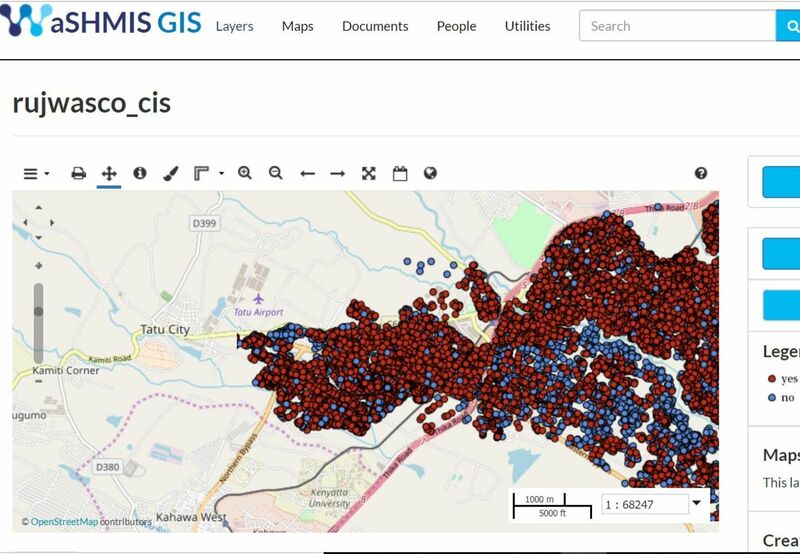 An integrated system consisting of sensors to acquire and transmit data, server based processing and storage of data and a web portal facilitating visualization of data streams in real time forms an ideal online decision support system for water utilities. 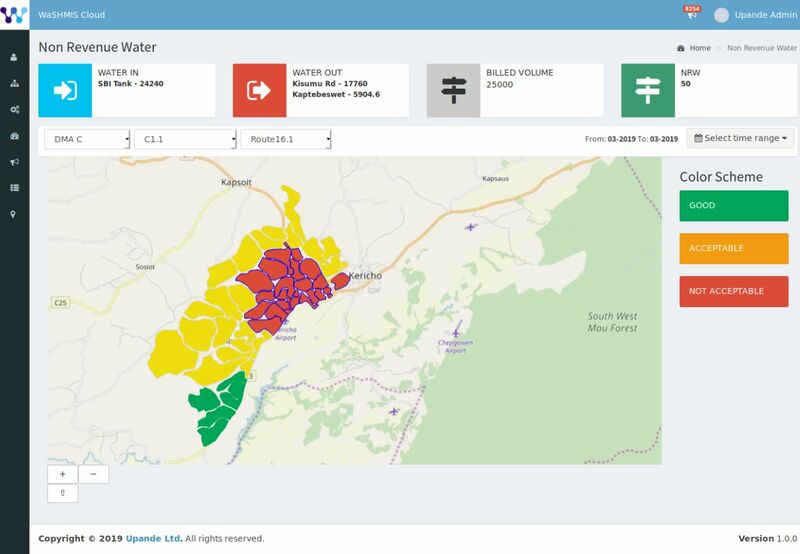 Water Sanitation Hygiene Management Information System (WaSHMIS) is an integrated system that enables water utilities to make smart data-driven decisions by collecting, transmitting, analyzing and visualizing hydraulic data (flow, pressure, and level), water quality data (chlorine and PH) and customer data from sensors deployed across the water distribution system. 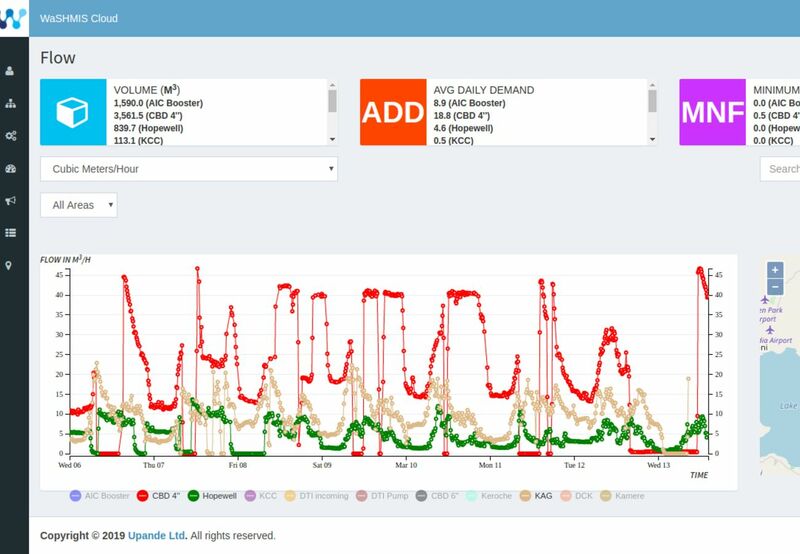 Water levels,volumes, flows, pressure, pH and chlorine at targeted points within the network are visually displayed on a dashboard with dynamic interactive charts that enable the user to determine water parameters that is of interest to them e.g Minimum Night flows, average daily consumption and average day pressures. 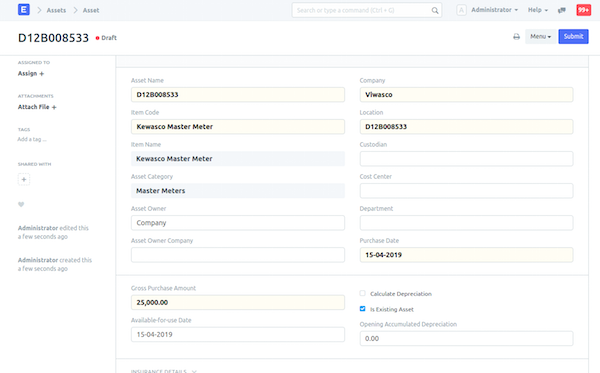 We integrate your billing tool for NRW calculations or we provide you with an ERP including HR, CRM, accounts, etc. 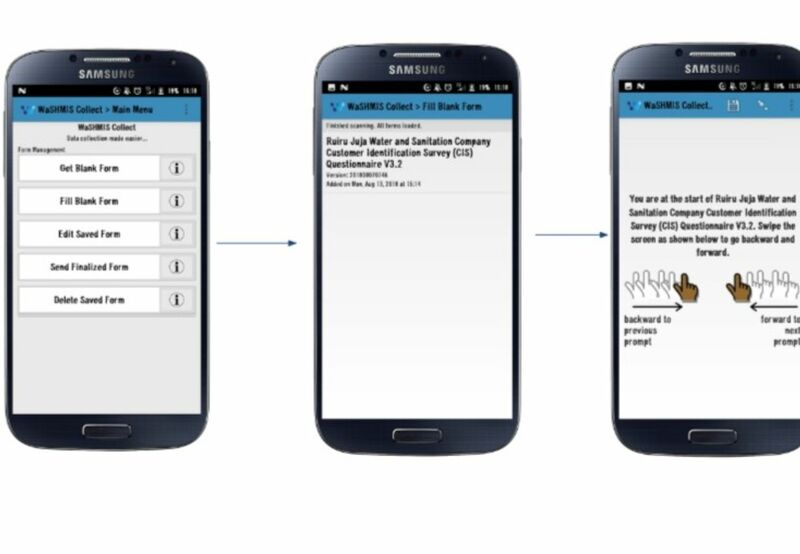 A smartphone-based job card app for assigning and tracking tasks within the water utility; among them jobs emanating from utility operations and customer complaints. The web overview gives the percentage and turnaround times for job categories. 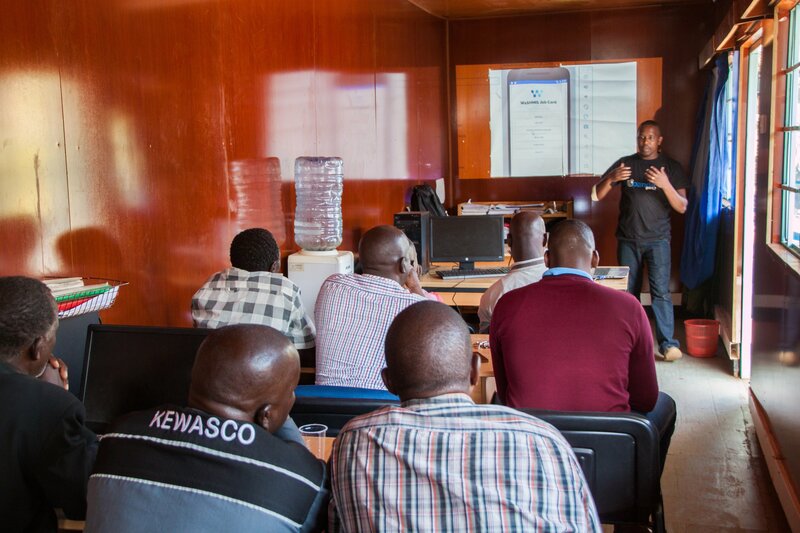 Fieldwork documented electronically equals accurate data and higher labour productivity. 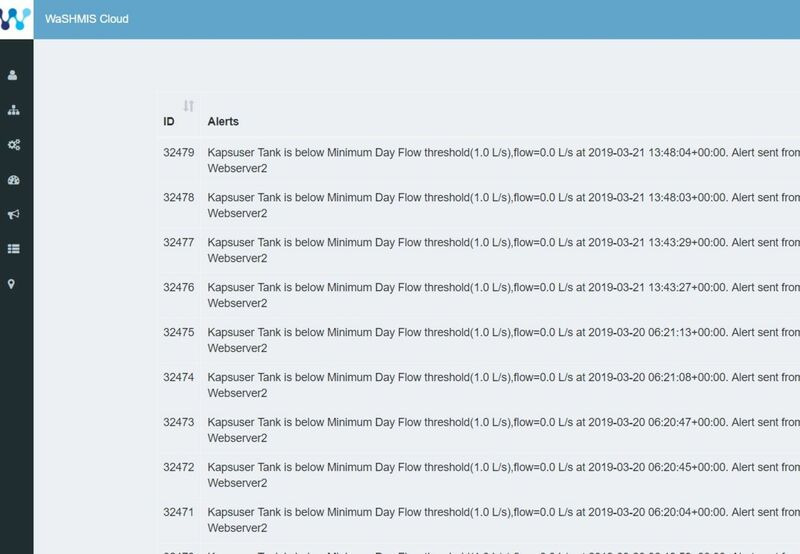 SMS/Email alerts are generated and sent to the technical team when pre-defined level, volume (leakages), flow or pressure thresholds are exceeded or not met. The lifespan of your assets goes up with planned, preventative maintenance. 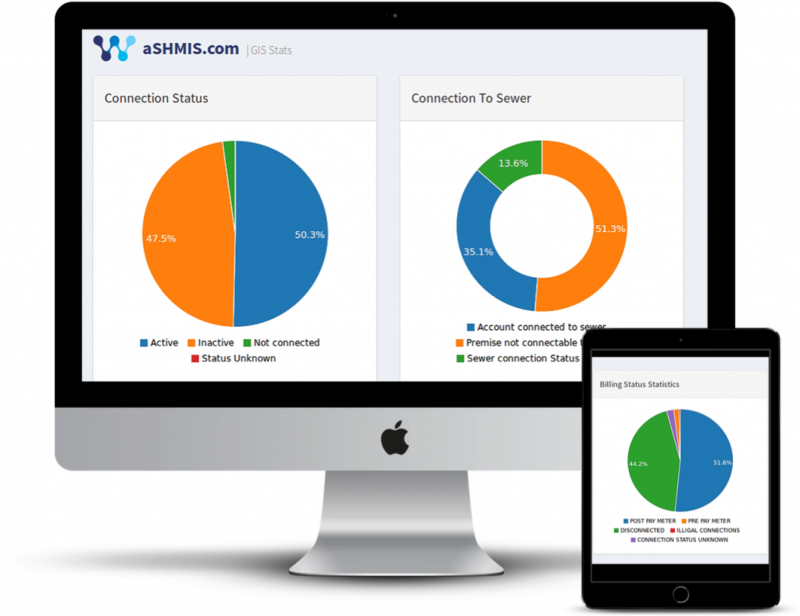 Our module helps you do just that, including alerts, performance tracking, etc. 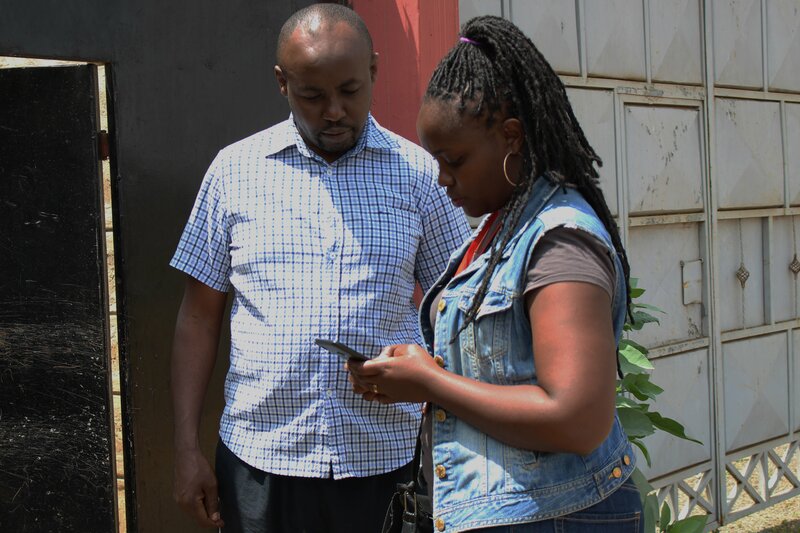 ‘In 2017, Muranga Water and Sanitation Company used WaSHMIS Collect App to collect customer and connection data in Maragwa, a low-income area. 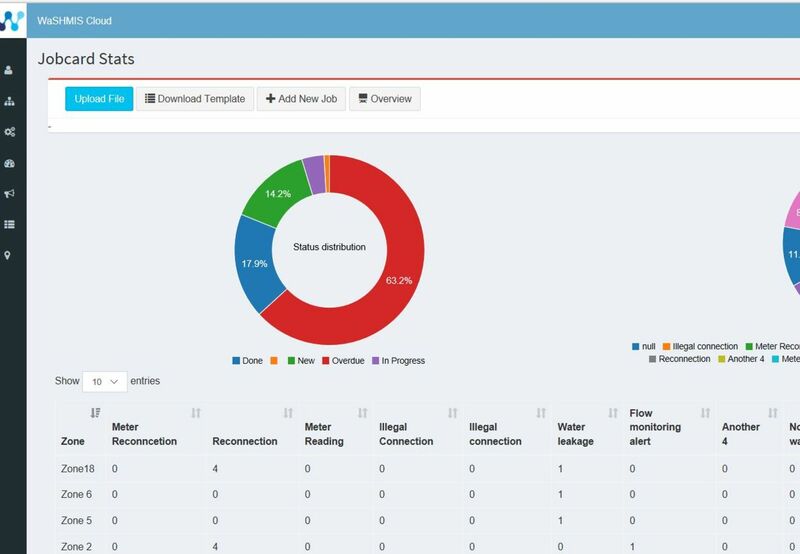 Analysis of the collected data enabled us to identify illegal connections, faulty water meters and ultimately reduce NRW. Monthly revenues went from KES 300,000 to KES 1,300,000 after implementation of the corrective actions. 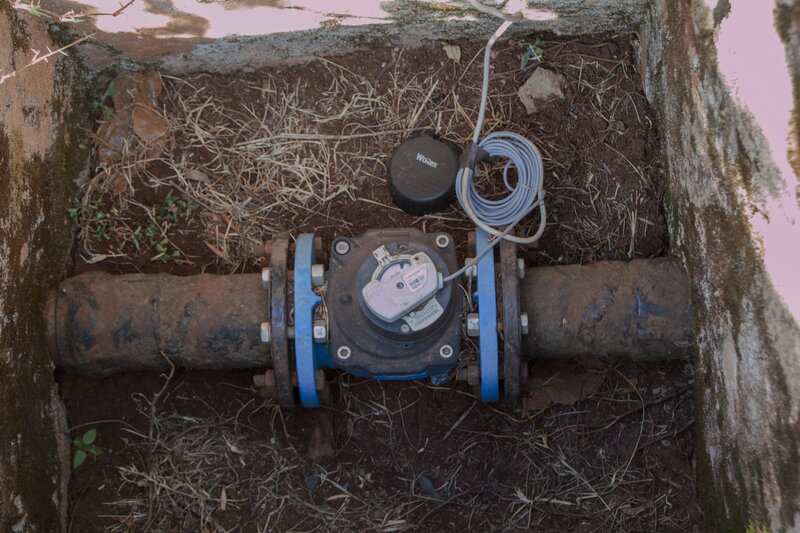 The main water treatment plant was fitted with a smart meter which sends in readings 24/7 thereby enabling us to understand water consumption patterns within our network." Dreampipe Challenge II (2016-2018) aimed at reducing NRW in Langalanga and Teachers B in Nakuru Rural Water and Sanitation Company. 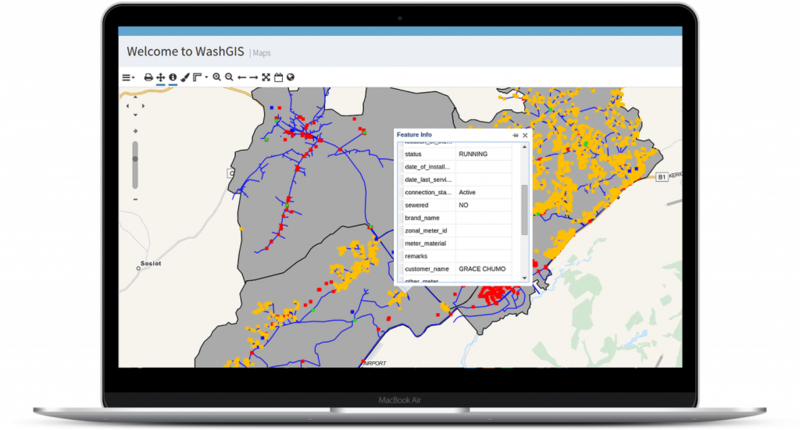 WaSHMIS roll out in Kericho and Nakuru Rural Water and Sanitation Company.